Shalom and Good Morning. Our message and teaching will be from Genesis 17.21-27.
and all the Children of Israel, The Jewish People. I believe the subject of GOD’s Covenants are of vital importance for a better understanding of the Bible. So, let’s review those He gave to Abram and their meanings. Genesis 12.1-2 The Great Nation is Israel from Whom comes the Jewish Messiah Yeshua HaMashiakh, Jesus the Messiah. Genesis 12.3 The blessings and cursings to those who bless or curse the Jewish People. All the families of the earth are blessed in the Jewish Messiah Yeshua. Genesis 15.18-21, The Everlasting Covenant The Lord God made with Abram and the Jewish People giving them the Land of Israel for an everlasting possession. Genesis 17.2 Millions of Jewish descendants to establish the great nation Israel. Genesis 17.10-12 Circumcision is evidence or proof of The Covenant between GOD and The Jewish People. A light to the Gentiles – Messiah will teach the Gentiles God’s Word, His Laws and His Commandments, Proverbs 6.23. Verse 7 Blind Eyes – No knowledge of God. He will open their eyes of understanding. Prisoners from prison – Prison of sin. Out of the prison house – Deliver them from sin and give them Salvation, which leads to eternal life. Psalm 105.8-10 gives a clear and easy explanation of GOD’s Covenants. Verse 8 – God’s Covenant is forever. God’s Covenant is His Word. A thousand generations = Forever. Verse 9 – God’s Covenant and Oath are the same, His Word and His Promise. Verse 10 – Confirmed – In Hebrew Ahmad – Meaning, Stands, Continues and Decree or His Law. God’s Law stands forever. This is vitally important as the world is taught the lie that God’s Law is ended. Thus God’s Covenant is His Promise which stands forever. And His Law Stands Forever. Genesis 9.11-12 – God’s Covenant with Noah that a flood would never again destroy all life and the earth, Is God’s Promise, His Word and His Law. His Covenant never changes or ends. It is an Everlasting Covenant. Genesis 9.13-17 – The rainbow God has set in the sky is His sign between Him and all mankind that never again will a flood destroy all life and the earth. Thus God’s Covenants consist of His Word which is His Law and stands forever. Matthew 24.35 – Yeshua is God Almighty. God’s Words, His Laws and His Covenants will never pass away. They are Everlasting. They will remain the same forever though man seeks to change God’s Laws. Verse 17 – God gives His righteousness to children’s children. That is they will inherit the truth and live in righteousness. It is a gift of God. Yeshua is The Only Sacrifice for atonement of sins we will ever need. The New Covenant or New Testament does not replace the Old Testament. In fact, the New Covenant is part of the Old Testament. It is Law, that is It is Torah. See Genesis 12.3, Isaiah 42.6 and Jeremiah 31.31-34. Mediator – A Reconciler, that is Messiah Who brings Peace between the Believer and God. Before our Belief in Messiah, we were separated from God because of our sins, Isaiah 59.2. This we know. The Bible teaches that all the Covenants of GOD are given to The Jewish People (Romans 9.4) but The LORD GOD makes provision for non-Jewish people to join in as equals and receive all the blessings of all GOD’s Covenants. Verse 12 – Strangers according to Webster’s Dictionary – A person who does not belong to a family, group or community. An outsider. Also, a person not legally associated or involved or a participant (of God’s Covenants). Verses 19-20 – As Believers in the Messiah Yeshua, we are to lead our lives as the Apostles and Prophets and Yeshua the Messiah led their lives. According to the torah, the Law of Moses. Hebrews 5.9 – All who obey Messiah, Who is God Almighty, receive Eternal Salvation which is Eternal Life and all God’s wonderful blessings in His Word. purpose. And then ascended back to Heaven. Genesis 17.23-27 Okay, here are my thoughts why non-Jewish Believing men are not required to be circumcised. Verse 15 – Avail – Does not matter, does not mean anything when it comes to belief in Messiah Yeshua. New creature – The Greek word for creature is Ktisis meaning a New Ordinance or new rule or law which would be God’s Law. Verse 16 – Rule – Standard, The standard of being a new creature. Believing in Messiah, living our life according to God’s rules and Laws. The Israel of God – Is Israel, today, yesterday and forever. GOD’s Covenant is His Promise, His Word and His Law. His Covenant is everlasting. It never ends and never changes. It remains the same forever. And the Great Covenant of Messiah Yeshua, the New Covenant, the Covenant of Eternal Salvation and Eternal Life is given to all, as Hebrews 5.9 teaches, Unto all them that obey Him. Shalom, our message and teaching this morning will be from Genesis 17.15 through 22. Genesis 17.16 GOD blessed Sarah generously. – He gave her Isaac, the Son of Promise who would inherit the Everlasting Covenants GOD gave to his father Abraham. From Isaac would come the Jewish people who would become that great nation Israel, from whom would come Messiah Yeshua. – Sarah is the mother of nations. Not only is she the mother of the Jewish people and Israel, Sarah is also the mother of all believing non-Jewish people who believe in Messiah Yeshua, and live their lives as their Messiah lived His; loving The LORD GOD and keeping The Law of Moses. – Great kings came from Sarah. At least 21 kings from Israel, including David, Solomon, Jehoshaphat, Hezekiah and the greatest King of all; The King of Kings and LORD of LORDS, Yeshua our Messiah, in Whom all the nations of the earth shall be blessed. – And from Sarah came Miriam (Mary) the mother of Yeshua in the flesh. And so many more great and GODLY people in the Bible; from Isaac and Jacob, Moses, the Prophets of GOD, the Disciples and Apostles of The LORD, and so many more. – GOD also blessed Ishmael mightily. – GOD made him fruitful, that is he had numerous descendants. Much of Islam and many Arabs and Muslims are from Ishmael, the son of Abraham from the Egyptian woman Hagar. And GOD does not forget about us either, those of us who love Him with all our heart, soul and might. 5.3 Poor in spirit – humble, meek, submissive, obedient to the Lord God. – Theirs is the Kingdom of Heaven. 5.4 Mourn – grieve, weep, sad – Will be comforted. 5.5 Meek – Humble, submissive to GOD, obedient. Will inherit the earth – That is the Millennium and Heaven. 5.6 Thirst after righteousness ( Abiding by God’s Law of Moses) – doing what is pleasing to GOD. Filled – GOD will show him or her His ways, His secrets, His mysteries. 5.8 Pure in heart – those who love GOD and Messiah and live their lives according to GOD’s teachings. 5.9 Peacemakers – who bring peace, calm and quiet. Back to Genesis 17.15 – Sarai is now Sarah meaning princess. Genesis 17.5 Abram is now Abraham meaning Father of many nations. Abraham was chosen by GOD out of the Gentiles some 4,000 years ago to be the first Jewish person and the Father of Judaism, Israel and of course, our Messiah Yeshua. – Abraham is the Father of many nations. – Muslims view Abraham as the founder of their religion Islam. Not all Arabs and Muslims are from Abraham, through Ishmael, but many are. So, Abraham is the Father of many Arab nations. Keturah – nothing more is known about her. Zimran and Jokshan – may have become founders of various Arabian tribes. Medan – nothing is known about him. Midian – Jethro, the Priest of Midian and father-in-law of Moses, was a Midianite. Midian was probably in northern Saudi Arabia, south of Israel or Canaan. The Midianites were always at war with Israel. Ishbak – may have settled in Northern Syria. Shuah – perhaps the founder of the Shuites. And perhaps an Arab tribe. Not 100% sure. Bildad the Shuite, Job’s friend may have been from Shua. Isaac – of course, the Son of GOD’s promise from Sarah and Abraham from whom comes the Jewish People, Israel and The Messiah Yeshua. Abraham being the father of many nations is also the father of all true Gentile Believers in Yeshua, The Jewish Messiah. Verse 11 The righteousness of the faith is the correct way of belief in Messiah Yeshua. Living a GODLY and HOLY life by following GOD’S ways. That is living your life as Yeshua did. Loving the LORD GOD and obeying the Law of Moses. Verse 12 Who walk in the steps of that faith. That is Faith in GOD and Obedience to the Law of the Lord, The Law of Moses. Abraham is our example for all Believers in Messiah Yeshua. Genesis 17.16-17 Laughed in Hebrew is Yeets khak meaning laughed which is Isaac, the name GOD gave him. Genesis 17.19 Again, a Covenant of GOD is His Promise, His Word and His Law of Moses. And it is binding. It is irrevocable, unbreakable and can never be changed. Not by GOD and not by man. And GOD’s Covenants can never end. They are everlasting Covenants. – He was given the Covenant of Circumcision for Jewish men when they are 8 days old. – And from Abraham and Isaac comes our Messiah Yeshua in Whom all the nations of the world are blessed. – And from Abraham and Isaac is the beginning of GOD’s Plan of Salvation and is fulfilled with the Jewish Messiah Yeshua Who forgives our sins and delivers us from hell, that our eternity will be in Heaven. 9.8 Counted – esteemed, honored, held in favor. The Non Jewish Believer must join in with the Jewish Believers and do as the LORD GOD Commands the Jewish People. 1. Believe in Yeshua the Messiah and 2. Obey Torah as Yeshua did. Messiah calls on us, Jewish and Non Jewish Believers to Follow Him. Yeshua says “Follow Me.” Meaning, to be in the same way with Him. That is following GOD through belief in Messiah, and living your life as He did. According to Torah. Yes, when we are immersed, we die to the old life to a resurrected new life. Thus, when we are baptized into the fullness of the One GOD, The Father, The Son and The Holy Spirit, We SHOULD be like GOD and MESSIAH. Having Faith in Messiah and leading our life as Messiah did. Pleasing to God by Obedience to Torah. The great blessings of GOD come to those who believe on The Jewish Messiah, Yeshua, and live their lives just as Yeshua did. Obeying GOD’s Law of Moses. That is what is pleasing to GOD. And that is entrance into The Kingdom of Heaven. Genesis 17.2 What is a Covenant, or better yet, what is GOD’s Covenant? Covenant – In Hebrew – Beh reet – A contract, a binding agreement between two or more parties, enforceable by law. GOD’s Covenant is a contract and it is binding, that is it is irrevocable, unbreakable, enforceable by law, GOD’s Law, and can never be changed or brought to an end. a) His Covenant is binding and irrevocable. It never changes or ends. And it is enforceable by GOD’s Law. b) GOD’s Covenant – listen – is His Word. Every word He speaks in The Bible, which Covenant can never change or end. It is everlasting. Word – Dah var – Word, here GOD’S Word. Every Word GOD speaks in the Bible is His Covenant. It is that simple. And it never changes or ends. God’s Law which is His Word and Covenant, never changes or ends. GOD’s Covenant is like GOD Himself. Both are forever and both GOD and His Covenant never change or end. EVERLASTING GOD – Olam YEH HOVAH – GOD lives forever, never changes and never ends. Just like His Covenant. Question: How can so many say and believe that GOD’s Law of Moses, which is GOD’s Covenant, is no longer in force? Deceive – Cause to roam from safety and truth, i.e., God. That is what satan and others do when they tell you the Law is no longer in force for Believers. They lead you away from GOD and Messiah. The first mention of GOD’s Covenant is with Noah..
Genesis 7.1-2 Clean – Tah hor – Clean, permissable to eat. Not clean – Not permissable to eat, or unclean, i.e., foul, defiled, polluted, not food. God’s food laws are unbreakable. All GOD’s Covenants are given to the Jewish People. And Judaism will last forever. Messiah will reign over Israel and the Jewish People forever. The New Covenant or New Testament is given to the Jewish People and of course everyone else who will receive it it on GOD’S terms. Note in Jeremiah 31.33 that upon receiving GOD’S New Covenant or New Testament who is Yeshua the Messiah, GOD puts HIS Law in our inward parts, our thoughts, and has written His Law in our hearts, that is our mind, to be obeyed. And He will be our GOD and we will be His People. And then He will forgive our iniquity and remember our sin no more. if they repent and turn to GOD and obey His Covenant which is His Word and His Law of Moses. A huge and important covenant GOD made with the Jewish People is this. GOD Almighty will be our GOD forever, and He will give us the land of Israel for an everlasting possession. So why is the land of Israel, the Jewish homeland, so important for non-Jews who call themselves Believers in Messiah Yeshua? 1. Because it will be the homeland for the Messianic era, the 1,000 year millennium. 2. The heavenly New Jerusalem, which is part of GOD’S everlasting Covenant, which will come down out of Heaven from GOD, which is not the earthly Jerusalem, where there will be no tears, no death, no sorrows or crying, no pain, no sin and no curse. But the magnificent heavenly city where GOD will dwell with His people, those who have repented, and turned to GOD and did the works of obedience that are necessary for repentance. Believing in Yeshua The Messiah and obeying His Covenant, The Law of Moses. 3. To enter the Millennium and the New Jerusalem in Heaven, the Jewish Homeland forever, one must obey GOD’S Covenant He gave to the Jewish People. That is, receive and believe in Messiah Yeshua and obey GOD’S Law of Moses. To enter into the Millennium and Heaven, requires repentance. Turning to GOD with our belief in Messiah, and obeying His Covenant. His Word, His Law and His Commandments. How do we enter in Covenant with Almighty GOD? By obeying it. Verse 12 Enter – Ah var – To cross over, A transition (A Change) Deliverance. We read about the Book of Life. Those written in it will have eternal life in Heaven with our GOD and Messiah. How do we remain written in GOD’s Book and not blotted out of it? By obeying GOD’s Covenant. Believing in Messiah Yeshua and obeying His Law of Moses. Sin is breaking GOD’S Law of Moses, 1 John 3.4. And GOD will forgive our sins only by receiving His New Covenant Yeshua the Messiah. To be a child of GOD, and to have Messiah Almighty GOD as your GOD, requires obedience to His Covenant. Salt is a preservative. It keeps foods from decay, from breaking down. Thus salt is symbolic that GOD’S Covenant will never change or end. His Covenant is eternal, forever. Let’s see what The Bible says about The Covenant of Circumcision for men. Nowhere does GOD say believing Gentile Men must be circumcised and become Jewish. However, believing, non-Jewish people are required to believe in Messiah Yeshua and obey The Covenant and Law He gave to the Jewish People by the hand of Moses. Non-Jewish believers (men) are not required to be circumcised unless he desires to convert to Judaism. GOD gives to those of us who do not transgress His Law, who do not change His ordinances, but keep His everlasting Covenant, a Covenant of peace and the sure mercies of David. Isaiah 55.1-3 – The sure mercies of David. Those are the sure mercies of David GOD gives to us. 1 Remember GOD’s Holy Covenant. 2 Do not be deceived and led away from GOD and Messiah by those who wrest and twist The Scriptures. Remember His Holy Covenant. Remember to do it all the days of your life. His Word, His Laws, His Commandments, His Covenant. Wrest – Pervert, corrupt, abuse, poison, lead astray. So, GOD’s Covenant is His Word, His Law, which He has commanded to be an everlasting Covenant for all mankind to live by. It will never change. It will never end. To be written in GOD’s Book of Life, to inherit eternal life, to be blessed and live forever in the Millennium and then New Jerusalem that comes down from GOD out of Heaven, all humanity, Jewish and Gentile must receive and believe in Yeshua The Messiah and obey the everlasting Covenant GOD gave to the Jewish People. That everlasting Covenant is The Law of Moses which includes believing in Messiah Yeshua. That is why GOD calls on us to repent and turn to GOD and obey Him, and not those who wrest The Scriptures and poison them and lead us away from GOD and Messiah. Repent, for the Kingdom of Heaven is near. The LORD appeared to Abram and The LORD GOD, of course, is Yeshua Ha Mashiakh, Yeshua The Messiah, the Almighty GOD. When The LORD appeared in New Testament times, Yeshua was 100% GOD Almighty and 100% man. When The LORD Yeshua The Messiah appeared in the time of T’NAKH, The Old Testament, He was 100% GOD Almighty, the Creator of Heaven and earth. The LORD GOD appeared to a number of people in The Bible and always had Words of great importance to say to them. All of which we as the children of GOD should hear and receive. Now The LORD, Yeshua The Messiah appeared earlier to Abram when he was 75 years old. What did The LORD say to Abram back then? The Lord God promised the Land of Canaan to Abram and his descendants, the Jewish People. The Land of Canaan is of course todays Israel. GOD never breaks His promise. He never changes His mind, for GOD is not a man that He should lie or a human being who changes his mind. Will I Not Break – Always be in force, not vanish, come to an end, or disappear. Somewhat later, The LORD GOD Who is Yeshua The Messiah, appeared to Abram after he won a great battle with his 318 servants against a mighty army. Malkeetzehdek appeared to Abram after the slaughter. What did The LORD tell Abram then? The Lord told Abram that the Most High God won the victory for him. And the Lord God wins all our battles for us. These are the words David told Goliath. Thus the Lord our God will always win our battles whatever and wherever they may be. Whether they are financial, health, employment, attacks, troubles, whatever. And again The LORD GOD Yeshua appeared to Abram when he was 99 years old. What did The LORD tell Abram then? Very, very important instructions for all who call themselves Believers in the Messiah Yeshua. Walk – Hah lakh – Live your life by following GOD. That means living your life according to GOD’s Word, Law and Commandments – The Law of Moses. Before Me – Leh fah ny – In My Presence. GOD is everywhere. Be Perfect – Tah meem – Truth, perfection; Truth is GOD, Yeshua, His Word, Law, Commandments – The Law of Moses. For the Believer in Messiah to walk before GOD and be perfect means this. We are to have faith in Messiah Yeshua, and live our lives according to His Word, Law, Commandments, The Law of Moses. Yeshua, GOD wrestled with Jacob and gave Jacob the name Israel. Verse 28 Yisrael is a combination of Yees rah and Ayl. Yees rah means power to prevail or power to succeed. Ayl is God. 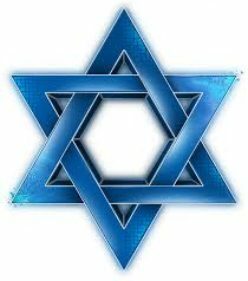 Thus Yisrael means Power to succeed or power to prevail. Or perhaps better as the Jewish Publication Society of America, 1917 edition states in Genesis 32.29; For thou hast striven with God and with men, and hast prevailed. Messiah, The LORD GOD appeared to Jacob again with these words. Verse 10 Your name is Israel. Verse 11 The Nation Israel will come from him. A company of Nations – Gentiles, Non Jewish Believers in Messiah, those obedient to Torah will be of him. And Kings will come from him. Verse 12 God’s promise of the Land of Israel to the Jewish People forever. And what did The LORD say to Moses when He appeared to him the first time? God is our Deliverer from all our troubles and that’s why we should always wait on Him for Deliverance. It’s called patience. The elders of Israel saw GOD and ate with Him. Verse 8 The blood established God’s Word and Law to be an everlasting covenant to be obeyed by all mankind. Verse 9 the 70 Elders had a banquet withe The Lord Yeshua. Verse 12 And God told Moses to come up to Him to receive His Law and teach it. This is Messiah Yeshua Who gave the Law to Moses to teach it. All God’s Teachings are in the Bible for all mankind to learn and do. The LORD Yeshua stood before a young Samuel, and His Words were not pretty. And The LORD GOD, Yeshua The Messiah appeared to Solomon in a dream. Let’s hear what He said to Solomon. The Lord God, Yeshua teaches over and over and over, obedience, to walk in His Ways and obey His Laws and Commandments. Lengthen – Ah rakh – Long life and eternal life. The Prophet Isaiah saw The LORD GOD in The Temple. And The LORD had some words for His People Israel. The Lord God Who is Yeshua the Messiah sent Isaiah to tell His Jewish People they are spiritually blind, and God will not open their eyes as a Nation until the end of days at His Return. Then the Lord will save many Jewish People. And then all Israel will be saved. The Prophet Ezekiel saw GOD, and the message was the same. My People are rebellious. They are disobedient to Me. As witnesses for Yeshua the Almighty God, we also should tell people, especially those who call themselves Believers, that disobeying God’s Law is Rebelliousness, and God hates Rebelliousness. And at some time in the future, everybody will see The LORD GOD, Yeshua The Messiah at His return. Many will be filled with joy, and many will be terrified. Verse 24 Transgressed – Pah shah – To break away from just authority, and that just authority is God. Tresspass – Sin, unlawfulness, rejecting God’s Law and breaking Torah. And finally, The LORD GOD, Yeshua The Messiah appeared to His eleven Disciples after His death. And before He ascended into Heaven, He told them to teach about Him and to obey GOD, His Word, His Law and His Commandments, The Law of Moses. And this is what we are to teach them, Jewish and Non Jewish people. -Messiah Yeshua is God and Messiah. -We are to teach others everything He has commanded us. -He is our atonement. We have our sins forgiven and receive the gift of eternal life. -All mankind is to obey His Law, The Law of Moses. It is not an option but a requirement for all. -He, Messiah is with you forever and ever. And that is the teaching of this message.